SKU: ZM50761. Categories: Sports & Recreation, Sports Business. Tags: elite sport, sport, sport policies, sports policy. An international group of researchers joined forces to develop theories, methods and a model on the Sports Policy factors leading to International Sporting Success (SPLISS). Successful Elite Sport Policies presents the results of the large-scale international SPLISS-project. In this project the research team identified, compared and contrasted elite sport policies and strategies in place for the Olympic Games and other events in 15 distinct nations. 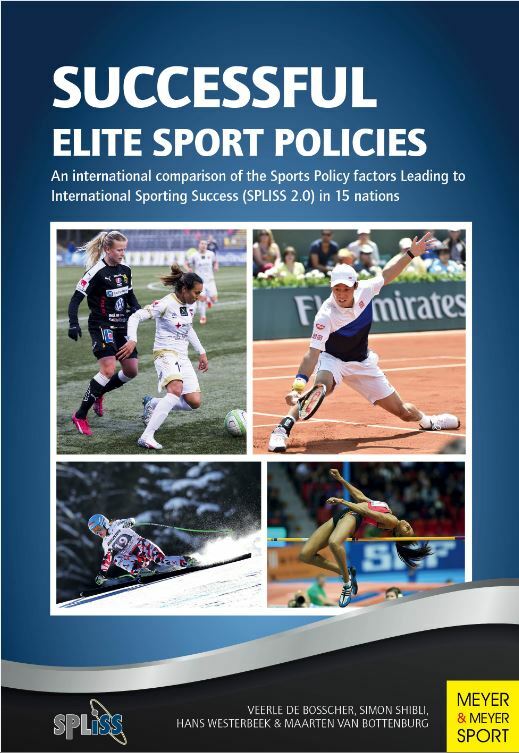 With input from 58 researchers and 33 policy makers worldwide and the views of over 3,000 elite athletes, 1,300 high performance coaches and 240 performance directors, this work is the largest benchmarking study of national elite sport policies ever conducted. Veerle de Bosscher is associate professor of Sport Management in the department of Sports Policy and Management and research group Sport and Society, Vrije Universiteit Brussel, Belgium. Simon Shibli is professor of Sport Management in the Sport Industry Research Centre at Sheffield Hallam University, UK. Hans Westerbeek is professor of Sport Business and Dean of the College of Sport and Exercise Science and of the Institute of Sport, Exercise and Active Living (ISEAL) at Victoria University, Australia. Maarten van Bottenburg is a professor of Sport Management and Sport Policy in the School of Governance of Utrecht University, the Netherlands. In a long awaited comeback, the Chicago Cubs finally broke their losing streak by winning the 2016 World Series. After 108 years, the Cubs basked in their victory at Wrigley Field. In The 50 Greatest Players in Chicago Cubs History, Robert Cohen continues the excitement by celebrating the fifty best players the Cubs have ever had. In this fascinating collection of biographies, statistics, and quotes, a well-defined system is used to rank the players. Memorable players like Ernie Banks, Andre Dawson, Ron Santo, and Ryne Sandberg are all included. This book is sure to spark debate among Cubs fans about who should really be number one. The Ultimate Parkour & Freerunning Book shows the increasing number of followers of the two movement cultures Parkour and Freerunning, as well as the recent development of more diverse and demanding techniques, have given rise to the need for safe, methodical orientation, which the reader finds in this book. Parkour & Freerunning catches on more and more followers throughout the world. Soccer coaches will appreciate this helpful book on goalkeeping. Through detailed photos and coaching points, Soccer Goalkeeper Training explains and demonstrates coaching points the physical and technical skills required for novice goalkeepers to improve their current level with easy to follow progressions. Another topic in this book is how to make decisions in tactical situations on the soccer field. For example, using communication as a tool for organizing the field player of one’s team. The authors also delve into the more advanced and scientific areas of periodization and mental preparation. Scott Ludwig lives, runs and writes in the beautiful countryside of Senoia, Georgia with his wife Cindy and their menagerie of cats. Scott enlisted the aid of several of his friends and fellow runners to compile the stories in Running to Extremes, arguably the best collection of stories about endurance athletes ever published. The 15 people portrayed in this book are sure to leave readers with their eyes and mouths wide open, completely fascinated with what the subjects have been able to accomplish in the sport of endurance running. These are just some of the incredible and inspiring achievements of the endurance athletes profiled in Running to Extremes: The Legendary Athletes of Ultrarunning.